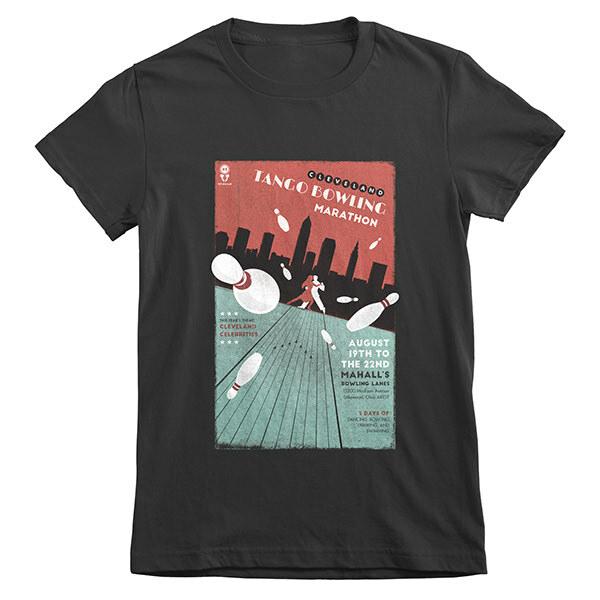 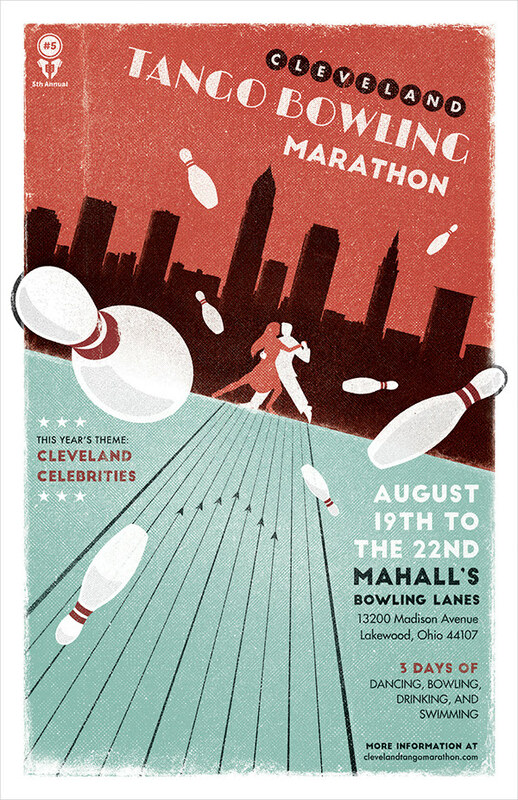 The Cleveland Tango Bowling Marathon is an annual event where tango dancers from all across the country gather at the historical Mahall's bowling venue to dance, drink, and of course, bowl. 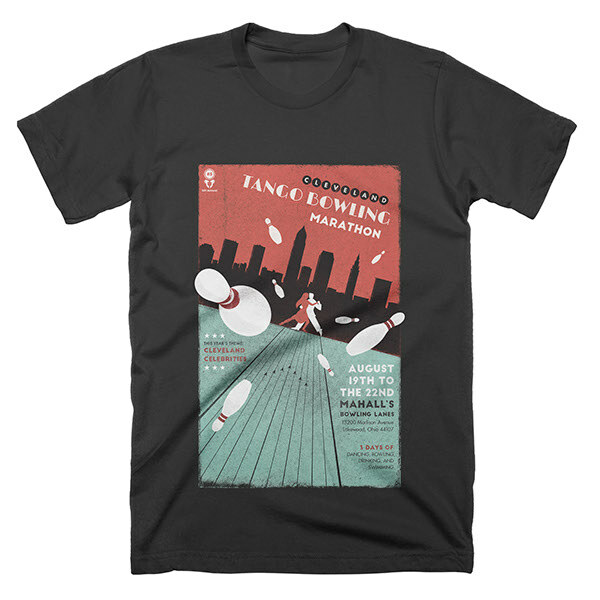 The marathon is put on by Adam Hoopengardner, (who originally is from Cleveland) a tango performer, organizer, and teacher in NYC. 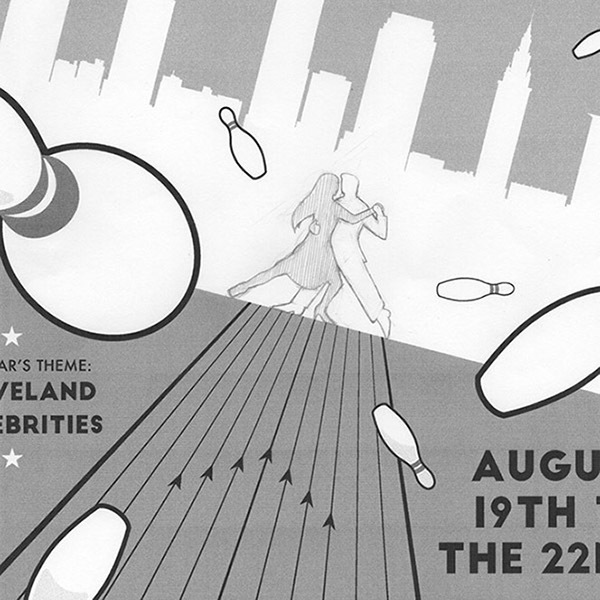 I had a lot of fun creating the poster for the 5th annual event. 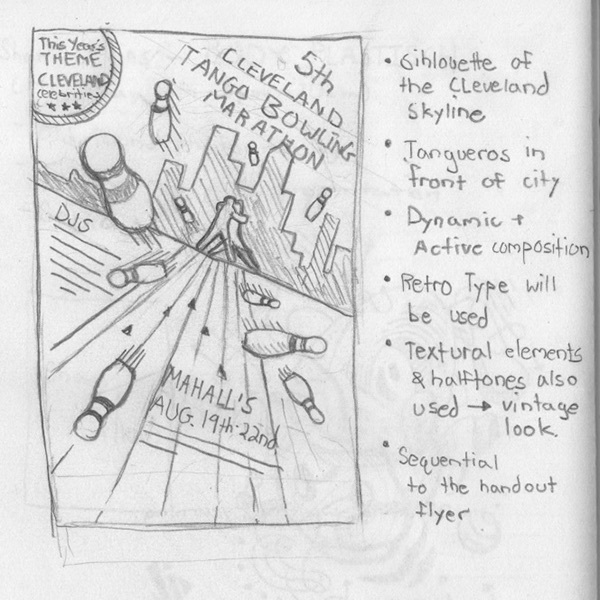 Big shout out to Retrosupply, whose wonderful design products helped me in creating this poster.